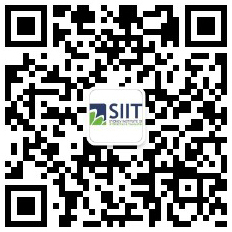 Sydney Institute of Interpreting and Translating (SIIT) is a trading name of Australian Professional Education Institute Pty Ltd, a registered training organization in Australia. (Registered Training Organization No: 91490). SIIT is also approved by the Australian Skills and Quality Authority (ASQA) to recruit international students (CRICOS Provider No: 03069K). The programs offered at SIIT have been specifically designed to cater for the needs of the communities and students who are interested in careers as interpreters and translators, financial planners, business leaders, real estate personnel, mortgage brokers etc. With dedicated trainers and caring administrative staff, SIIT provides students with a nurturing atmosphere which is conducive to success in their studies and future career development. To maximise the opportunities of SIIT’s graduates to work in their chosen industry, with excellent industry skills and a strong sense of professional ethics. To establish itself as a bridge across cultures. With its main campus in Sydney NSW, SIIT also has campuses in both Brisbane, QLD and Melbourne, VIC.